Instantly turn your English website into a multilingual website with SYSTRAN’s automatic website translator. That’s right. Make every page on your site available in a language chosen by your site’s visitors. Web translation drives new traffic to your site. Before you know it, your new leads will turn into new customers and new revenue streams. 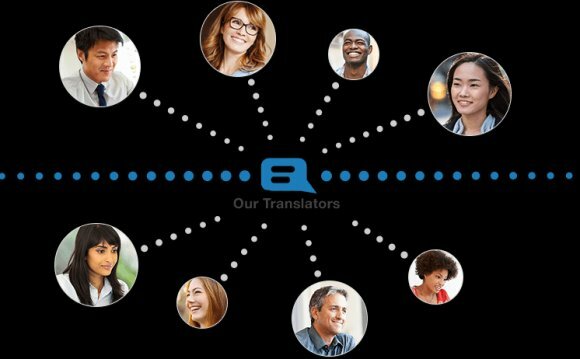 SYSTRAN’s web translator also lets you surf the Web in your native language. With a single click you select the page translation. All of the page’s links are automatically translated and the entire web site translation is in real-time. With SYSTRAN’s automatic page translator and blog translator you’re guaranteed instant access to all the online foreign language information you need. SYSTRAN is the market leader in machine translation solutions and the power behind the first-ever online website translation. Available in 52+ language pairs, SYSTRAN offers reliable page language translation as it automatically translates words, phrases and sentences in context. You can also personalize the translation site with the help of a SYSTRAN dictionary tool. Rely on SYSTRAN’s website translation for quick and efficient translations of the information you need. SYSTRAN products are used by thousands of customers worldwide, including top search engines, Fortune 500 and public organizations. The Translate Toolkit is a localization and translation toolkit. It provides a set of tools for working with localization file formats and files that might need localization. The toolkit also provides an API on which to develop other localization tools.